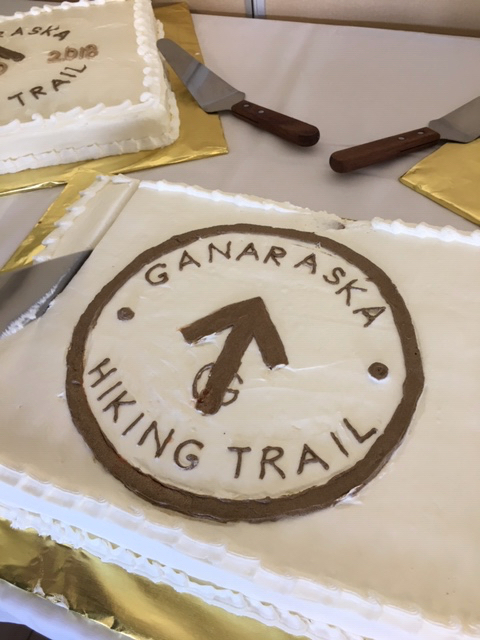 During the past year a group of hikers completed the End-to-End of the Ganaraska trail, and they sent along a report of their journey as well as a spreadsheet showing their actual log. This is an example of one way of presenting the log which some members may find interesting and useful. Of note, the first page on the spreadsheet – labelled GT – is the actual GHTA log, while obviously they have used the same spreadsheet format, indeed the same spreadsheet just separate pages, to record their other journeys. 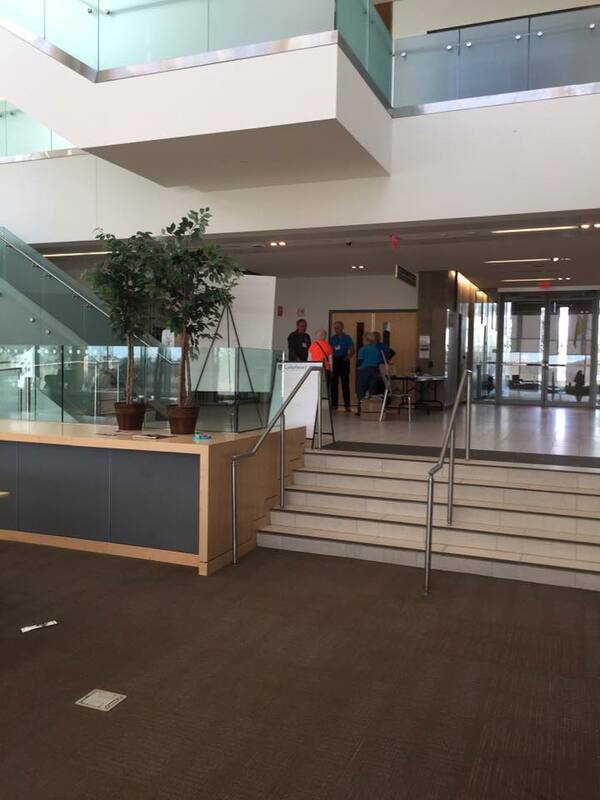 We congratulate them, and thank them for sharing their log format. In order to view the attached files, click on them to download them to your download folder/desktop, then open the file from that. 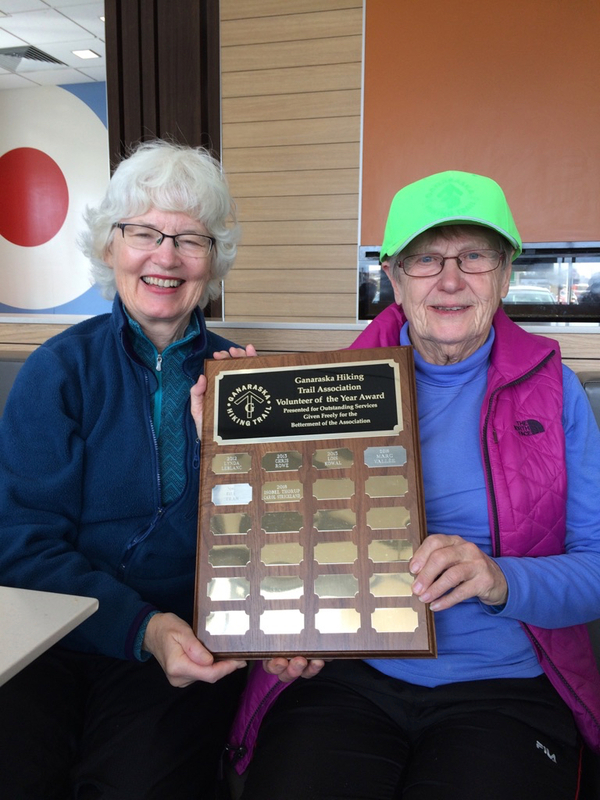 At the recent AGM, the winners of the GHTA Inc. Volunteer of the Year Award were announced – and this year this award is shared by two Orillia Club members – Isobel Thorup and Carol Strickland. 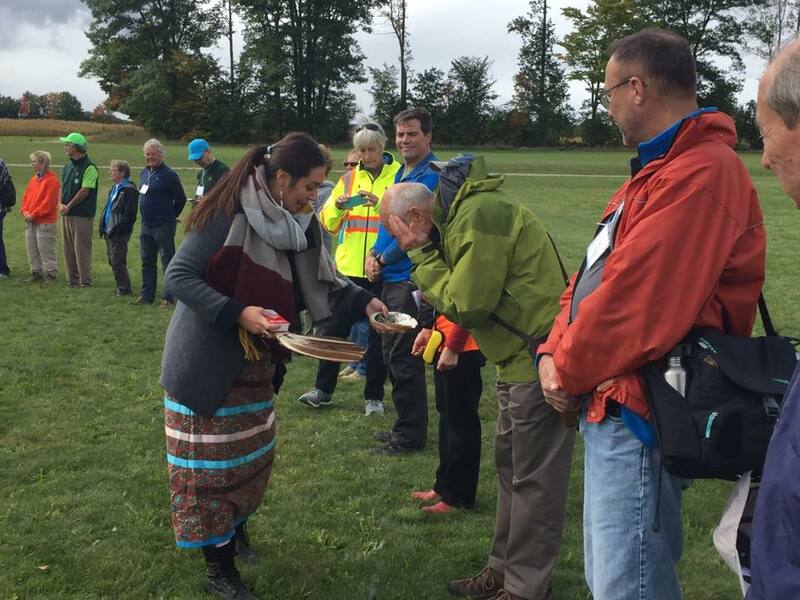 Pictured here are the two holding the plaque after it was presented at a recent Orillia hike. 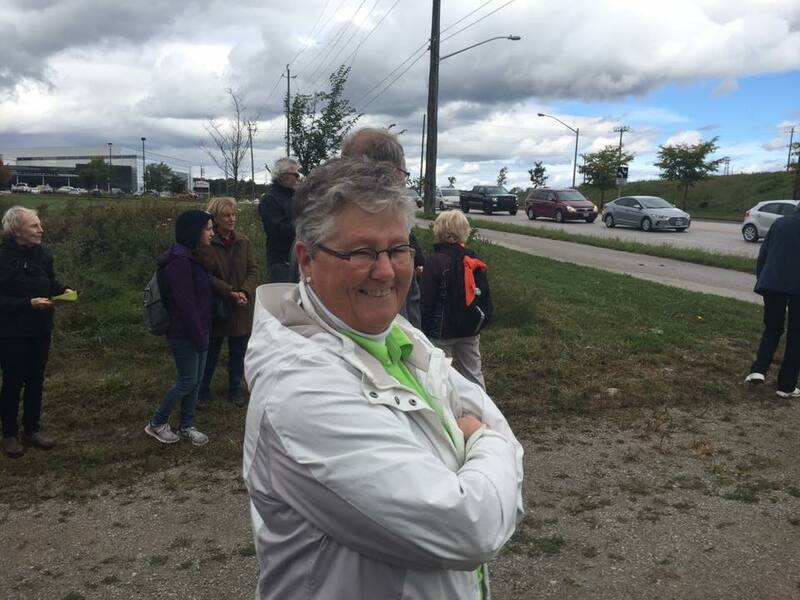 The following article appeared in OrilliaMatters.com shortly after the 50th Anniversary event. 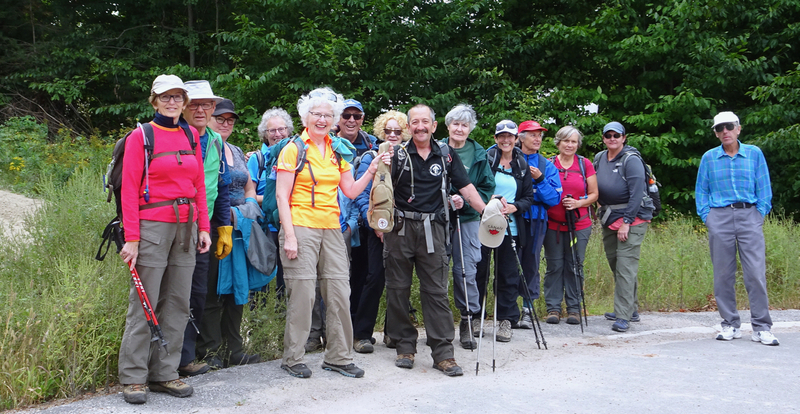 “The Ganaraska Hiking Club celebrates 50 years in 2018, and the celebrations culminated in the Sept. 28-30 weekend event held in Orillia. 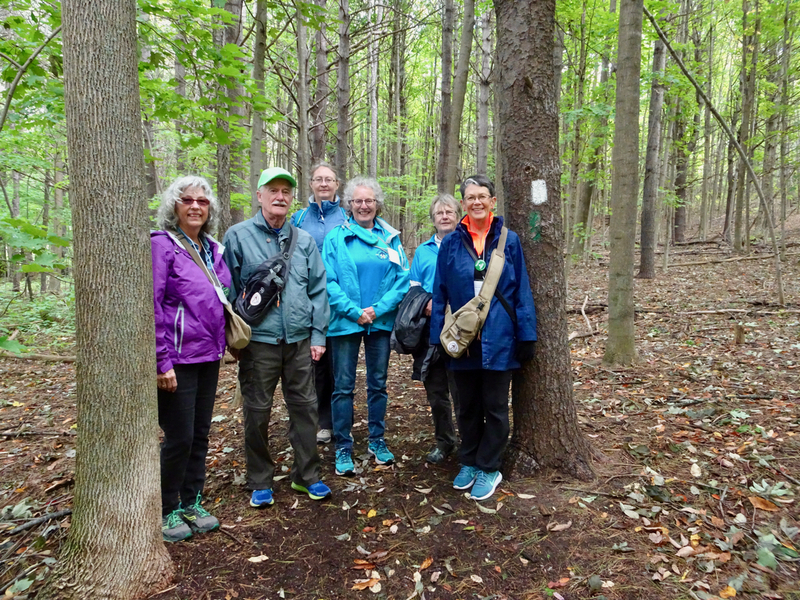 The Club began as the brainchild of Pat Lawson and Jack Goering, members of a nature appreciation club in the Port Hope area, in the mid-1960’s. 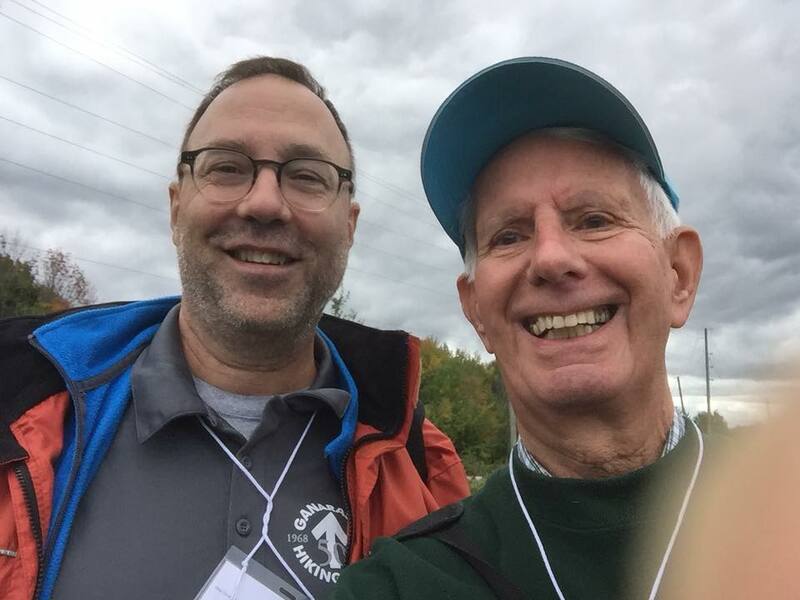 With help from Bruce Trail organizational veterans, Pat, Jack and many others created a partial trail in the Port Hope area, but this quickly grew to form a 500 km trail that spans Lake Ontario to Georgian Bay and the Collingwood area where it joins the Bruce Trail. Today there are 9 member Clubs, each with their own section to steward and enjoy. 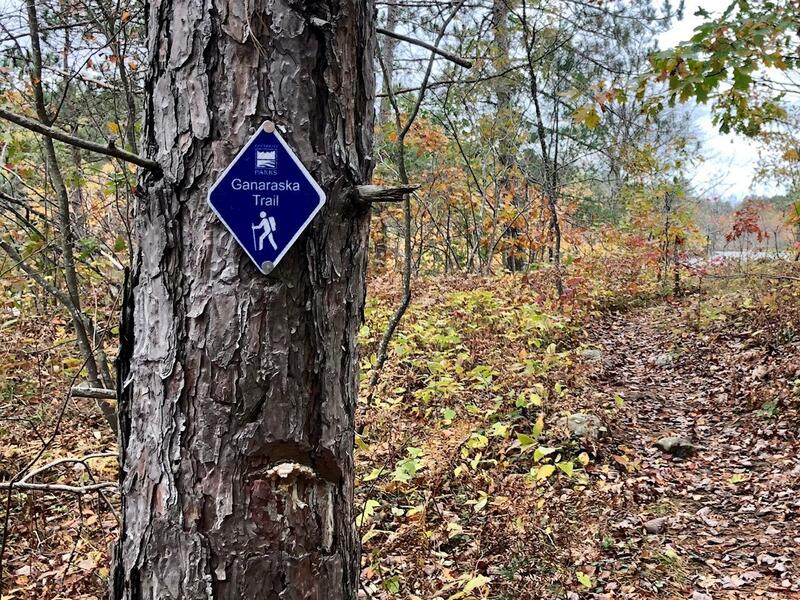 The trail proceeds across lands held by private landowners, county forests and municipalities whose generosity has allowed the formation of a continuous trail, with only a few gaps. 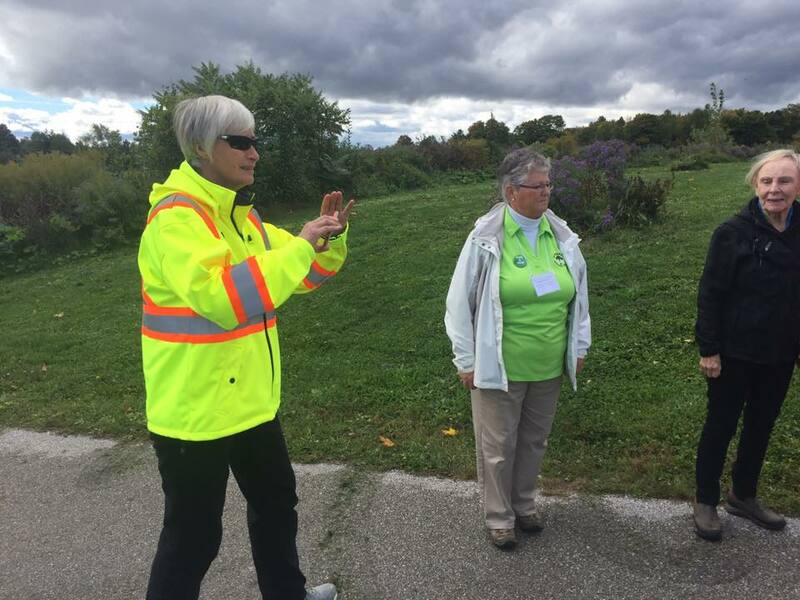 Orillia, sitting in the middle of the trail, was a natural choice for location of the 50th anniversary celebrations, and Lakehead University, Orillia campus, provided an ideal venue. 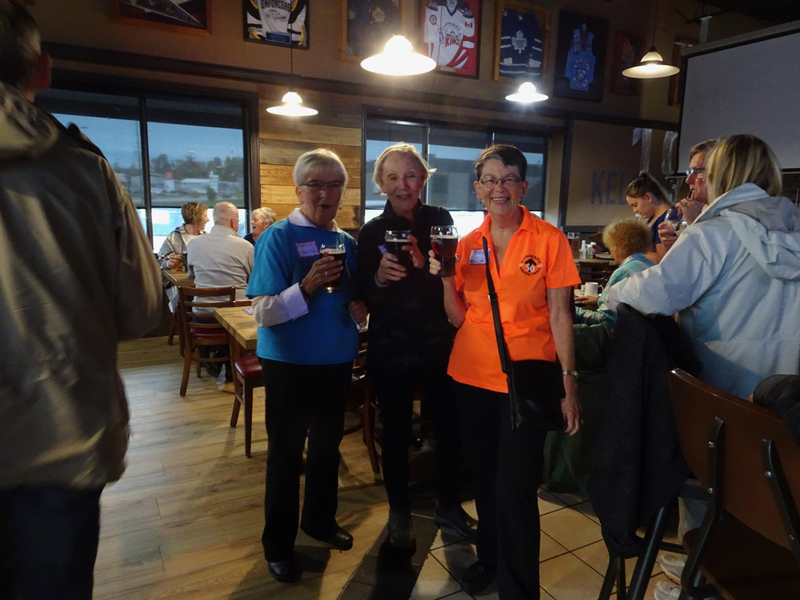 The event kicked off with a welcome pub night at Kelsey’s, with local and out-of-town members of the club and Hike Ontario Board members mingling and renewing old acquaintances. 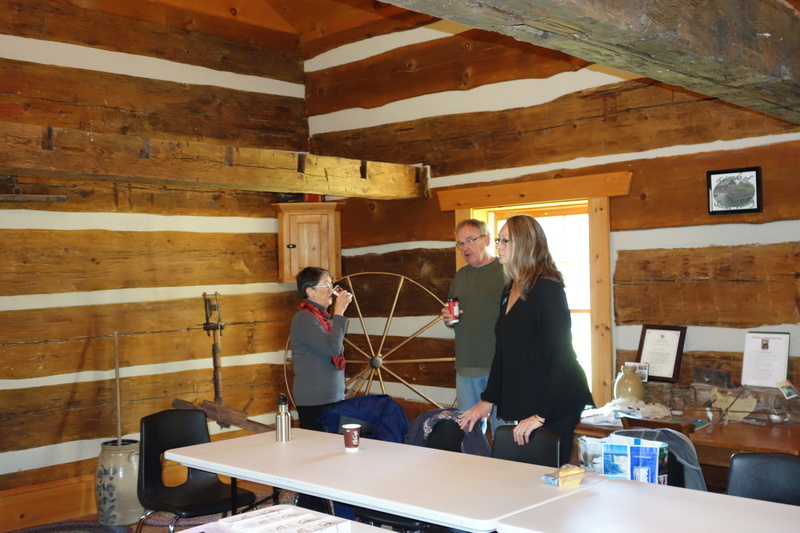 Marion Brophy (past Orillia Club President), Irene Bell (Wasaga Beach President) and Fern Splichal (Board Member) enjoy a cup of cheer while greeting visitors from all over the province. 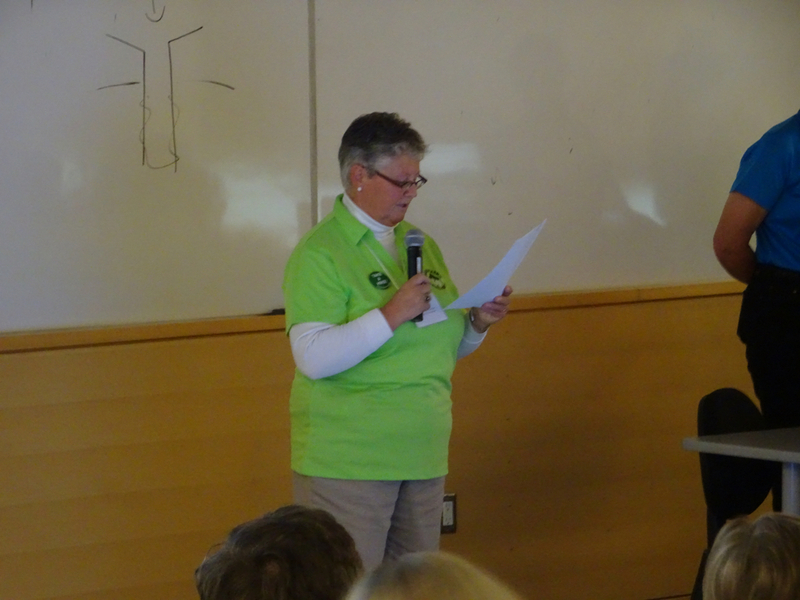 The following morning, the program got underway at Lakehead Orillia’s beautiful campus. 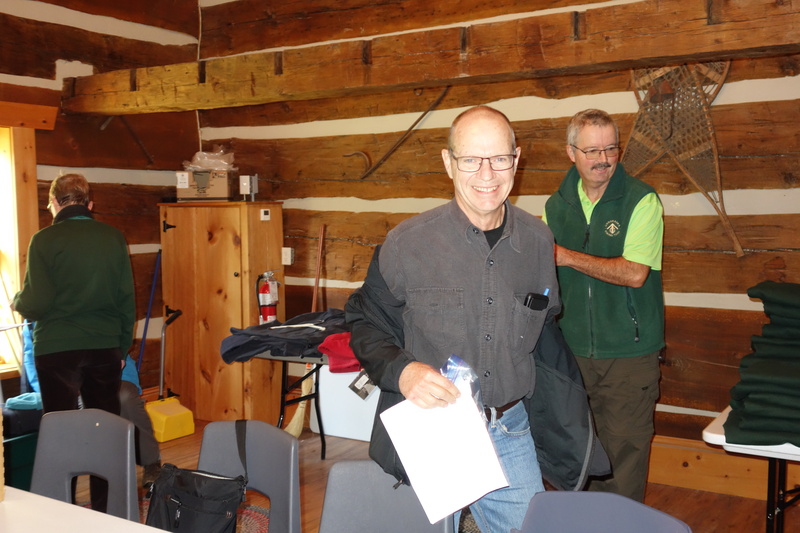 While Hike Ontario held their Annual General Meeting and Summit, members of the Ganaraska Club from all over Ontario registered for the day’s events. 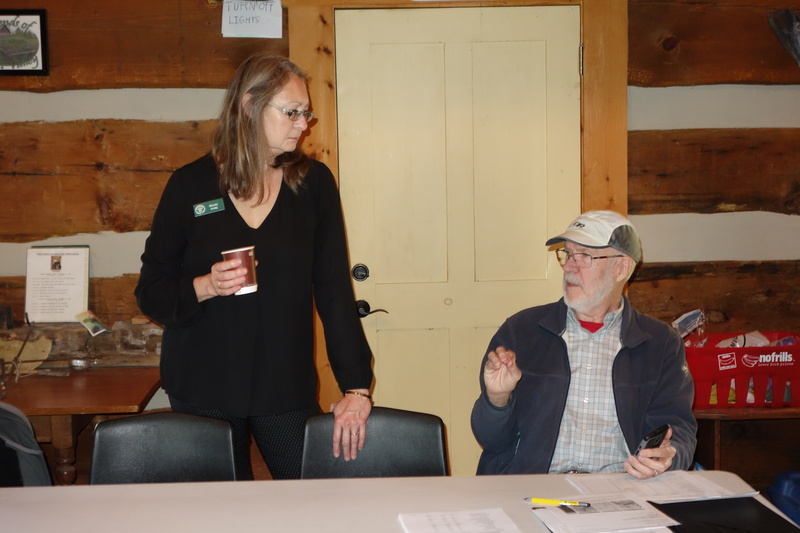 Frieda Baldwin, the current Ganaraska President, welcomed the crowd. 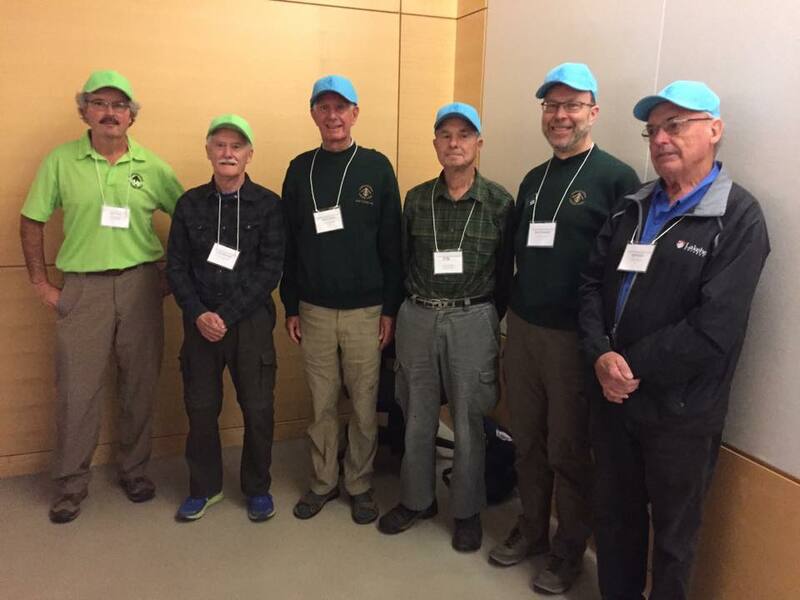 Followinga presentation on the history of the Ganaraska Hiking Trail, several of the Past Presidents of the club were given a special anniversary cap and thanked for their outstanding service to the Club. 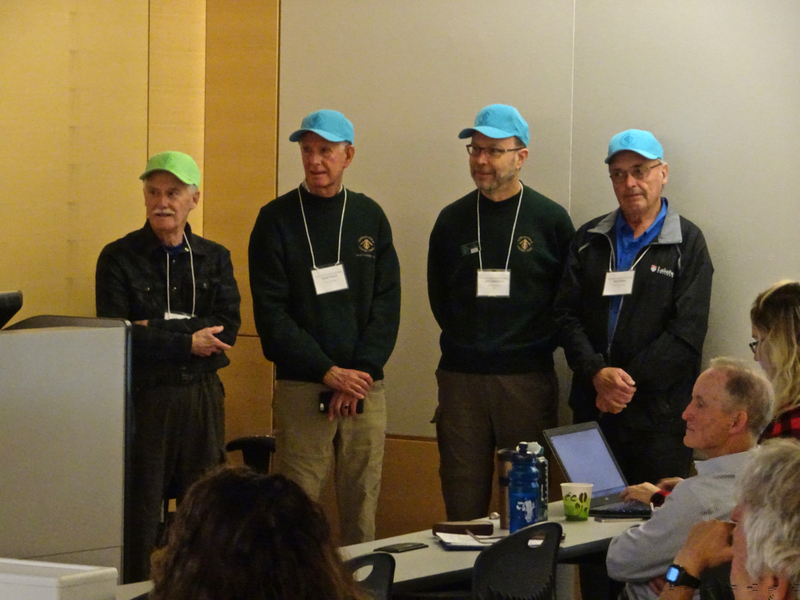 Pictured from left to right are: Paul McCreath, David Francis, Mike Pidwerbecki, and Bob Bowles. 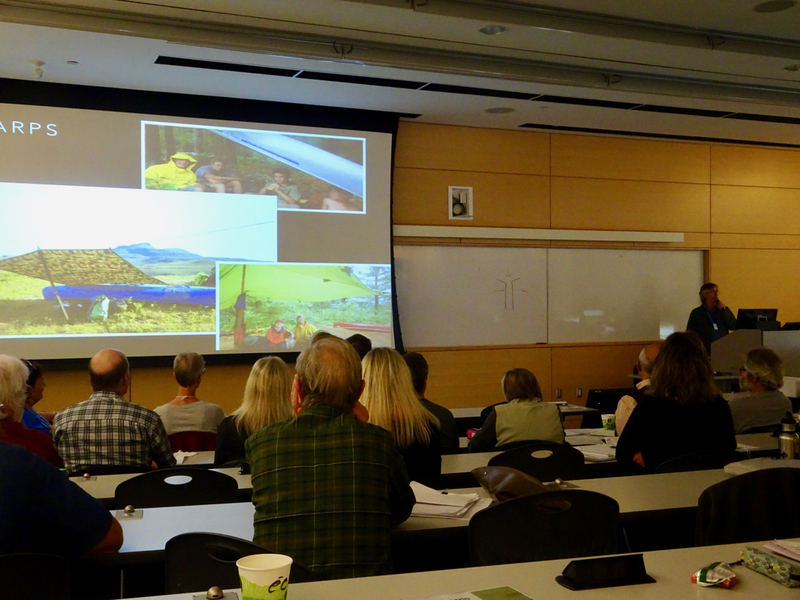 Kevin Callan provided the keynote address – “Wilderness Surthrival” – in which he entertained the group with his description of his work leading 7 day wilderness trips for college students. 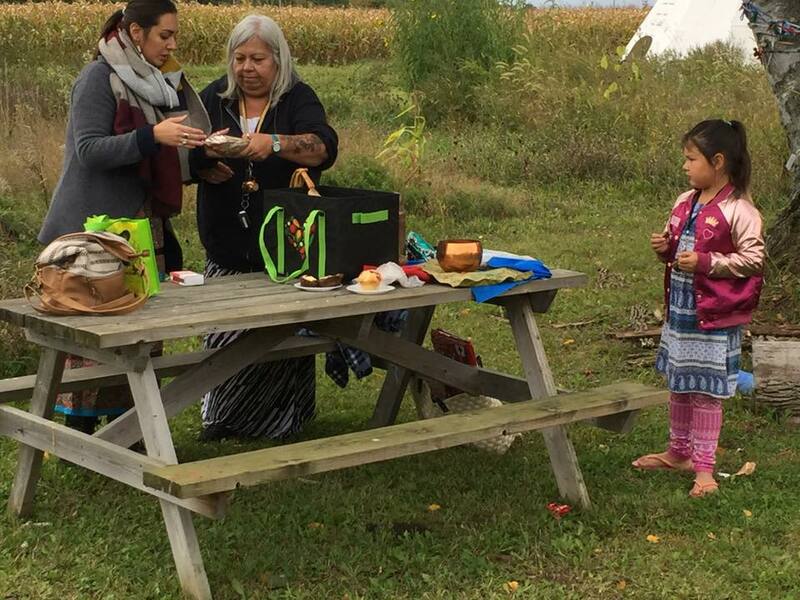 After this, the water ceremony began. 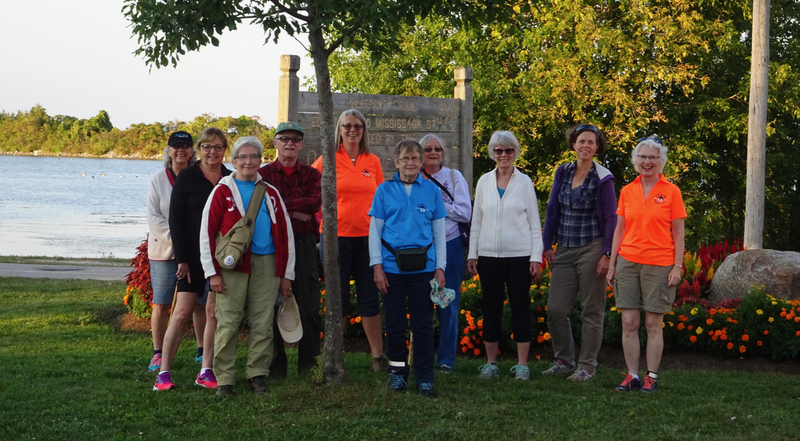 The background for this is that during this hiking year, bottles of water from Lake Ontario and from Georgian Bay (being either end of the Ganaraska Hiking Trail) had been relayed by each of the member clubs in turn, until the waters arrived in Orillia to be delivered to the Orillia Club. 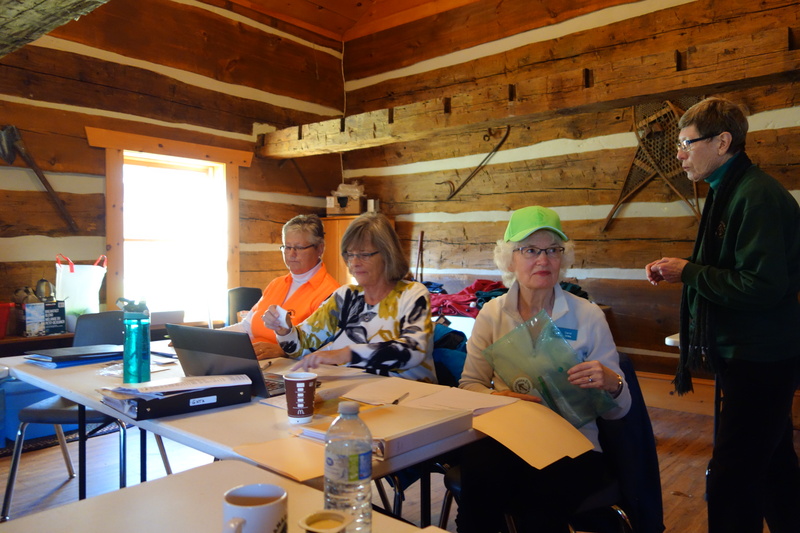 Pictured holding the specially designed water tote bags are: Barb Lewis, Paul McCreath, and Fern Splichal. 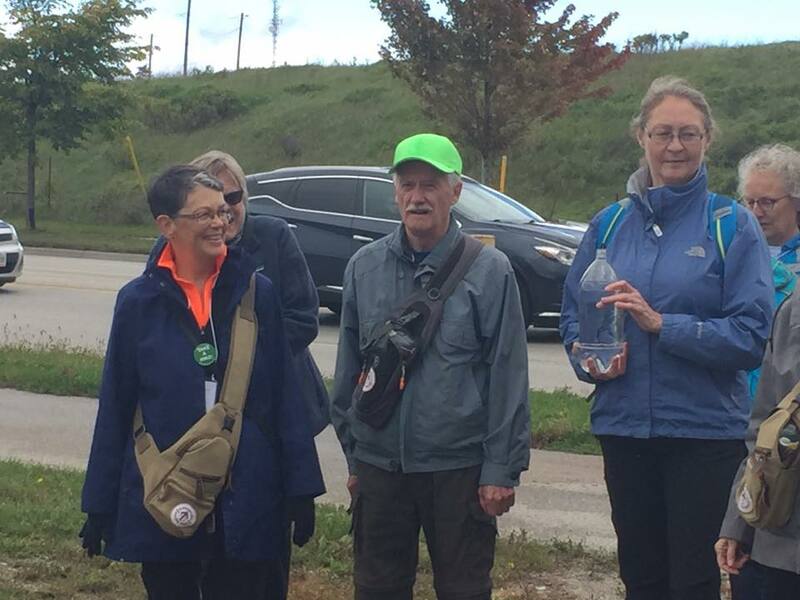 Joining them on the journey out of Scout Valley are Wendy Kirk, Isabelle Lloyd, Isobel Thorup, and Carol Strickland (taking the picture). 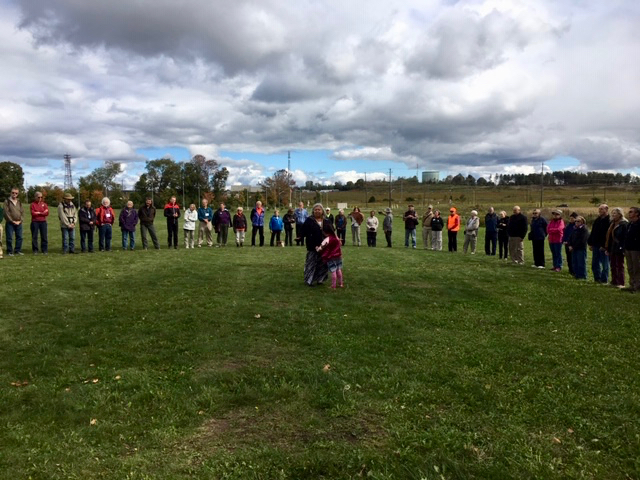 They were joined by the 80+ attendees as they proceeded up University Avenue and across Lakehead’s campus to the Indigenous Gardens. 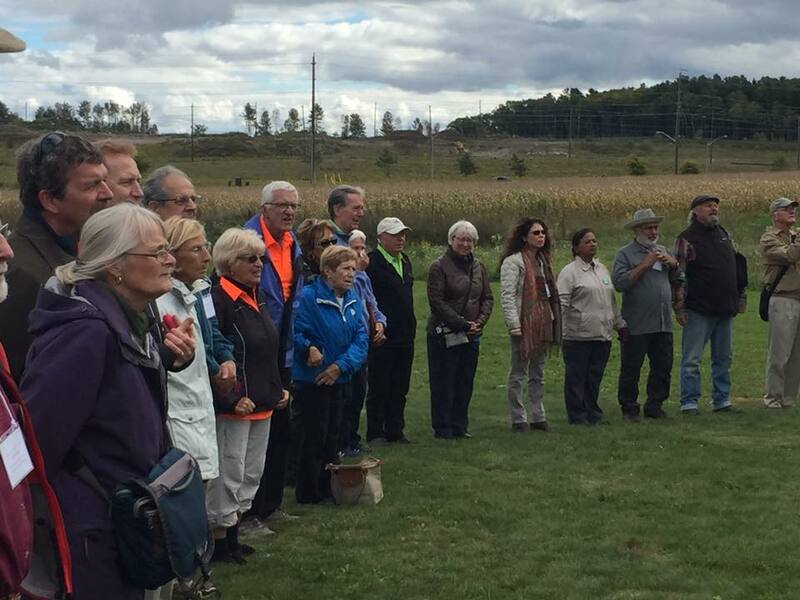 There the waters were used in a moving traditional ceremony honouring water and asking for a blessing. 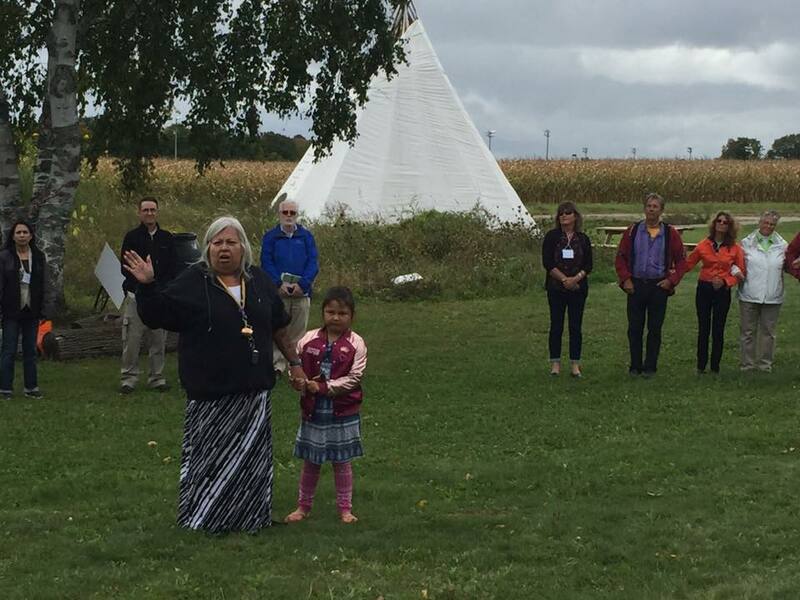 Trish Monague (Cedar Woman) leads the water ceremony in the Wiigwasitig Gitigaan (Birch Tree Garden) area at Lakehead University. 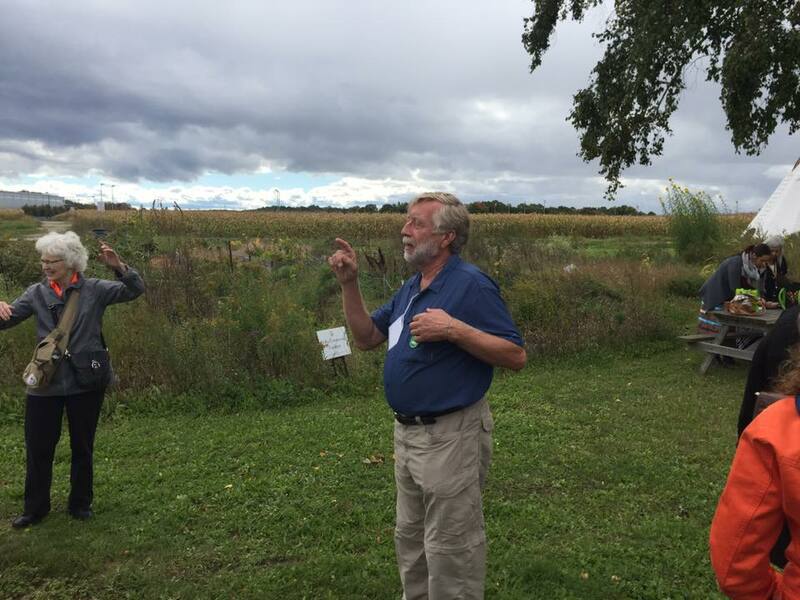 The waters were then poured out onto the gardens area. 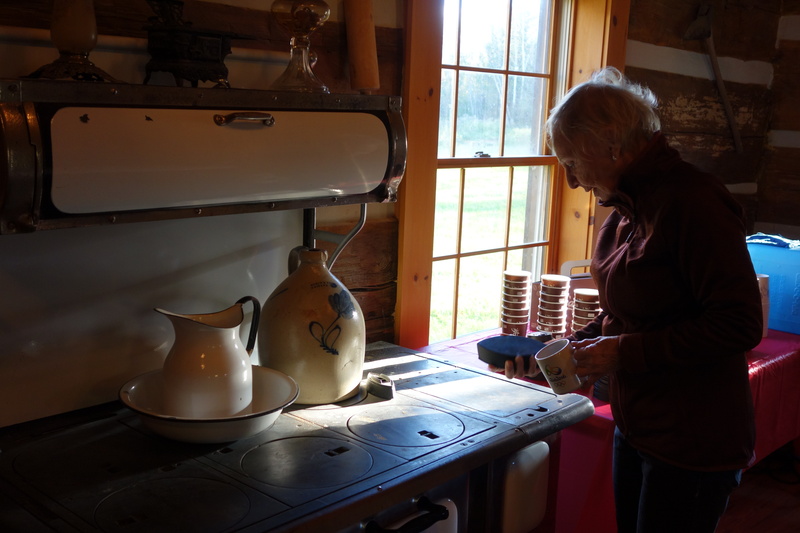 Following this, a barbecue lunch was held in the Lakehead cafeteria, where an anniversary cake created by a Midland Club member was enjoyed by all. 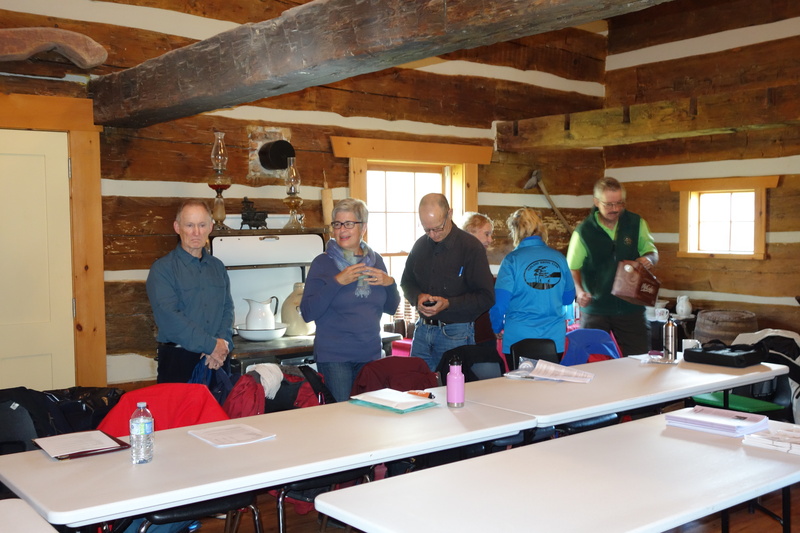 The afternoon provided members with choices of workshops to attend, from “Stretching for hiking” to “Risk Management for Trail Associations, to “Fascinating Fungi”. 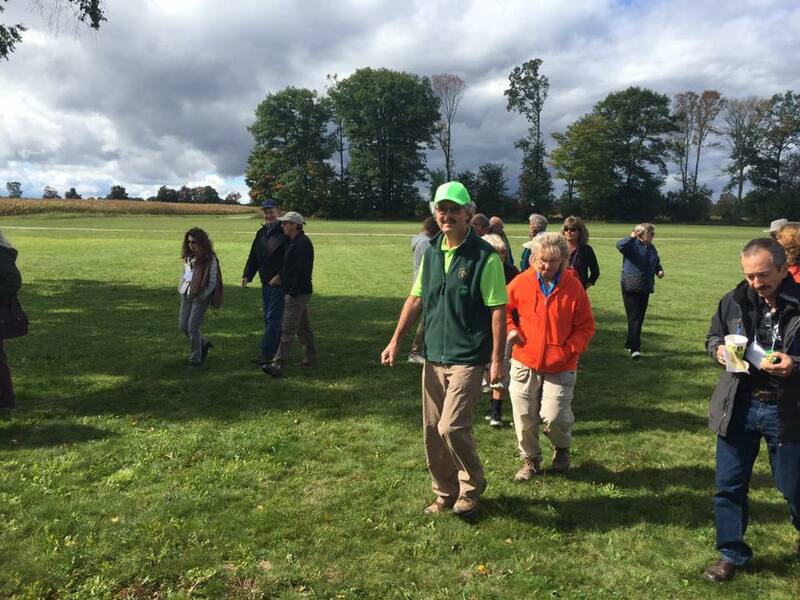 On Sunday, Hike Ontario offered a full day course – Certified Hike Leader – using Lakehead’s classrooms and adjacent fields. 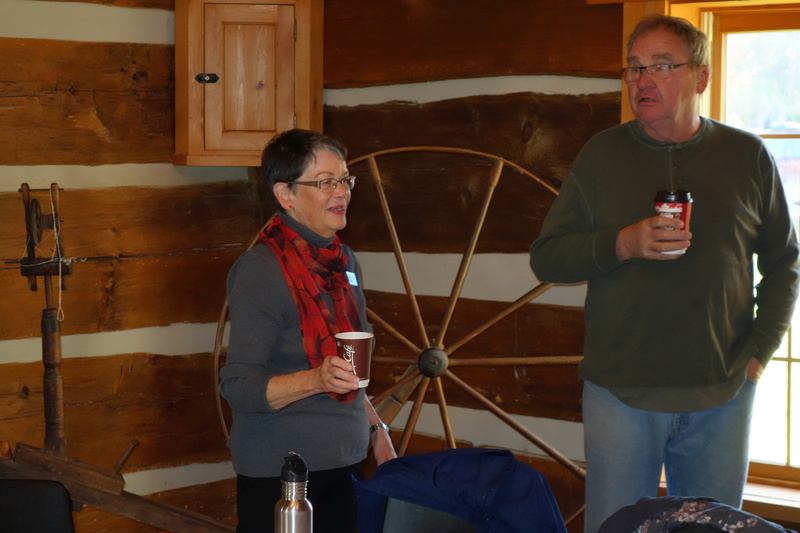 Everyone in attendance agreed that the weekend was much enjoyed and very worthwhile. 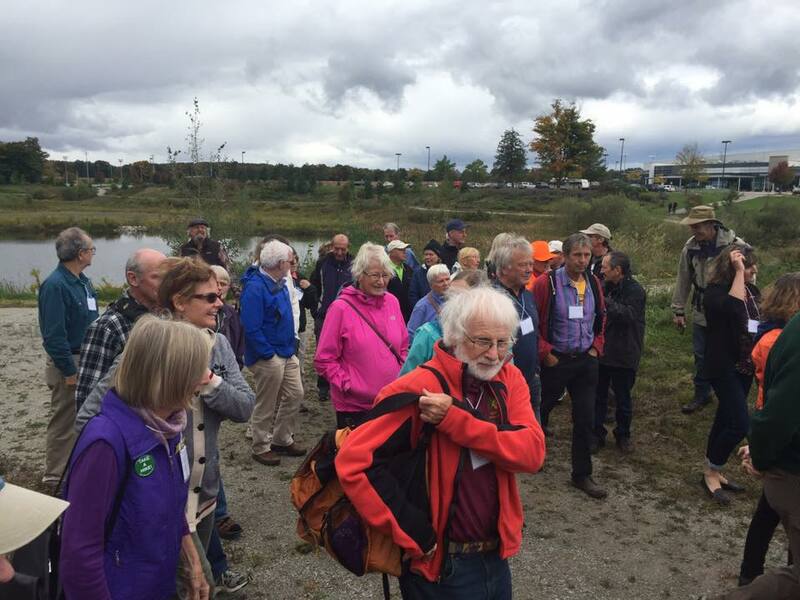 The Ganaraska Hiking Club and Hike Ontario were delighted to hold their event at Lakehead University, whose campus was an ideal setting for this Summit and whose philosophy of partnering with the community and fostering lifelong learning matched perfectly with the theme of the whole celebration. 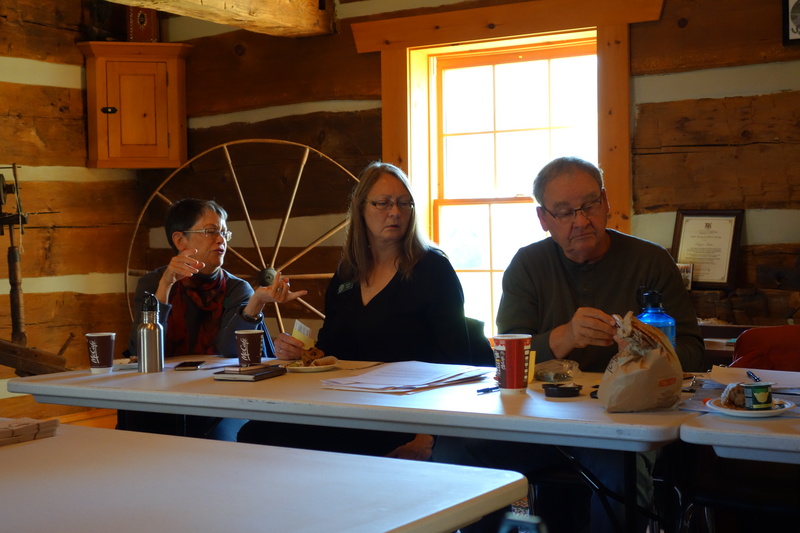 Many thanks to Kristen Lampman of Lakehead’s Conference Service, and to Dr. Linda Rodenburg, Co-ordinator of Lakehead’s Community Engagement and Lifelong Learning and to Allysha Wassegijig, Lakehead’s Aboriginal Initiatives Co-ordinator for their very generous and helpful support.